The purpose of this study is to find and analyze the Credit facilities (its outstanding, recovery, classified loans etc), approval and monitoring process of Dhaka Bank Limited, Local office. It will also include the performance of credit facilities in recent years. Find out different credit facilities that Dhaka Bank is providing for their customers. Also to give an idea about the securities behind the loan facilities and issuing different bank guarantees. 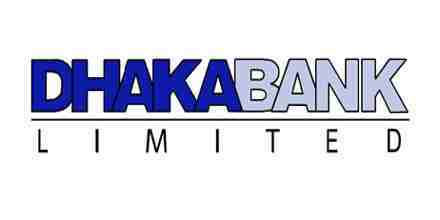 This report is based on the Credit Analysis of Dhaka Bank Limited (DBL). Internship program is the pre-requisite for the graduation in BBA. Classroom discussion alone cannot make a student perfect in handling the real business situation; therefore, it is an opportunity for the students to know about the real life situation through this program. A report has to be built for the university and organization requirement. The topic of the report is “Credit Analysis of Dhaka Bank Limited”. The main purpose of the report becomes very clear from the topic of the report. The report discusses about the different redit facilities, approval process, monitoring and performance. stamping witness and other legal formalities. It also describes the issuance of different bank guarantees. Findings and analysis of the information are in Part five of the report. It includes outstanding, recovery, and classified loan ratios. Difference between the outstanding and the classified loans in different sectors over the last four years are also analyzed. It also includes the summery of findings. Findings of the report say about the prior and neglected sectors of the credit facilities. It also contains the outstanding, recovery and classified loan status in different sectors over the past few years. The last part ends with competitive analysis, SWOT Analysis, recommendations and conclusions. Bangladesh inherited its banking structure from the British regime and had 49 banks and other financial institutions before the Partition of India in 1947. The Dhaka Bank established in 1806 was the first commercial bank in the Bangladesh region of British India. Bengal Bank, the first British-Patronized modern bank established in India in 1784, had opened its two branches in 1873 in Sirajganj and Chittagong of Bangladesh region. Later in 1862, the Bengal Bank Purchased the Dhaka Bank and opened its first branch in Dhaka in the same year by reconstituting and merging the Dhaka Bank. Thereafter, another branch of Bengal Bank was opened in Chandpur in 1900. A number of other branches of Bengal Bank were opened in this region and some branches had been closed in Course of time. There were six other branches of Bengal Bank in operation in the territory of Bangladesh until the Partition of British-India in 1947 and these branches were at Chittagong (1906), Mymensing (1922), Rangpur (1923), Chandpur (1924), and Narayanganj (1926). Mercantile Bank Ltd. (Presently Pubali Bank Ltd.) and Eastern Banking Corporatio Ltd. (Presently Uttara Bank Ltd.) established in 1959 and 1965 respectively. To identify the recovery rates of the loans in different sectors in last 4 years and have a comparison among them. ScopeThe scope of this report is the Head office and Uttara Branch of DBL and their operations throughout the country. The report also touches the banking industry and its trends and competitors of DBL.MethodologyI have used mainly secondary data sources for this report. But primary data has been collected in the form of interviews with various employees especially ATM Obaidullah (Credit In-charge).